Refurbishment of Iconic 24 St. Stephens Green. Dunwoody & Dobson Ltd. Building Contracting & Project Managers were founded over one hundred years ago in 1905, the company is supported on a firm foundation of experience, knowledge, commitment and pride in our achievements. Our success is due to committed and highly qualified management and technical staff, who ensure delivery of projects to the highest standards on time and within budget. 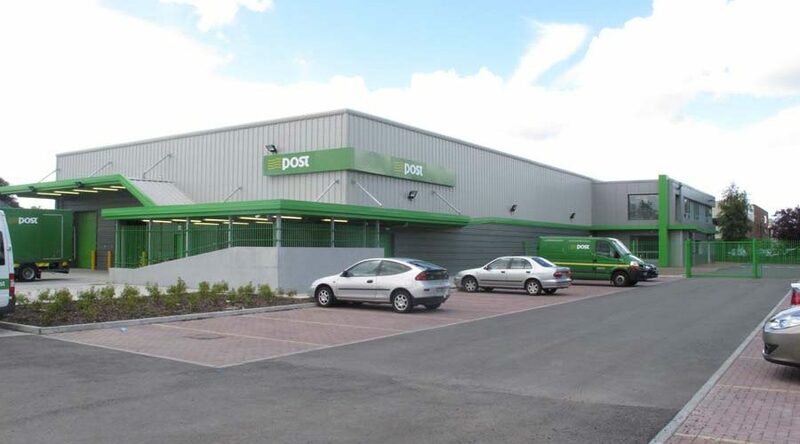 Our aim is to achieve continued repeat business from our clients and our success in achieving this objective is evidence of our commitment to successful delivery of projects entrusted to us. Our staff is our greatest resource – men and women who constantly provide a thorough, flexible and pro-active approach to all projects and who continue to pursue excellence at every level of the construction industry. Several of our Site Managers/Foremen (the core of our building team) have been with the company for more than thirty-five years; some started their career with Dunwoody & Dobson Ltd. We are extremely proud of the loyalty shown by our staff and their contribution to the development and success of the Company. Simon Coveney issues Rathmines Crescent the fist ever Home Performance Certificate. 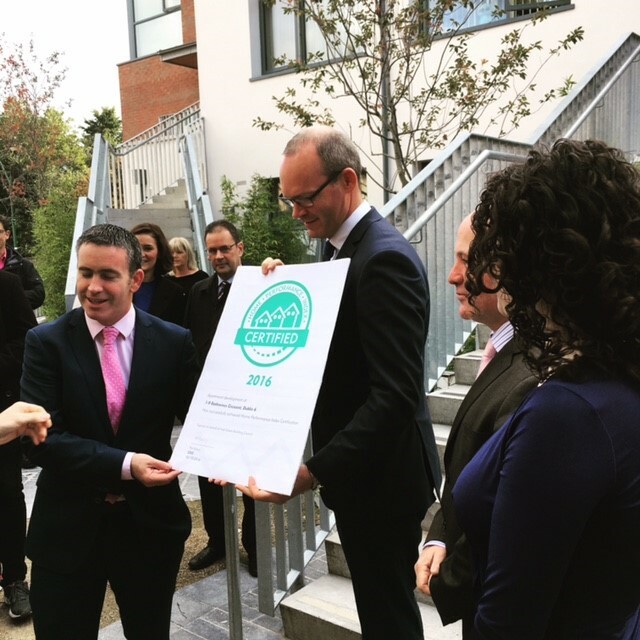 Dunwoody & Dobson / DCC project, Rathmines Crescent, is first project in Ireland certified under new Home Performance Index. All projects carried out to our A grade Safe T Cert standard.